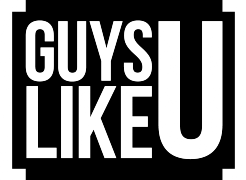 GuysLikeU columnist Simon Dunn looks back at his amazing 2015 that saw him go from an unknown sportsman to being voted the sexiest man of the year! Looking back at 2015, I can safely attest to it being an undeniably great year. It began with me joining the Australian bobsleigh team and subsequently became the first openly gay man to have this honor. As a result – and because of my penchant for taking underwear selfies – I started to make headlines across the world. Since then, I can quite safely that say my life has completely changed. It has been a busy year of competing and training and I’ve grown exponentially as an athlete. I am faster and stronger than I have ever been, but I know I still have a long way to go! Last season, my two-man team finished sixth in the North American Circuit and thirty-second in the world. Not bad for a first season! With the media attention that followed my raise in public profile, I was asked to appear in Attitude magazine’s annual NAKED issue. It was a fun experience and I really enjoyed the shoot and it really opened me up to even more people. A few months later I was stunned when Attitude flew me over to London to attend its annual Hot 100 readers poll. I was just happy enough to have made the top 100, but when I was told I had the won the whole bloody thing, ahead of Liam Payne and Channing Tatum and David Beckham, well, I just couldn’t believe it. Having won, I did a whole load of media interviews in which I was asked about how I felt about the honour bestowed upon me and about issues specifically about the LBGT community, which I have always been passionate about. It was great to be able to talk in depth about issues that meant so much to me. I was so pleased when gay guys started writing to me telling me that I had made them think or that they had gone through something similar.I was pleased that by talking about my experiences as a gay man I could change someone’s life, even just a little bit. That my platform has given me the opportunity to write articles for Attitude magazine and now becoming a columnist for GuysLikeU.com. I’ve been incredibly honest about my life, opening up about the time I was gay bashed in Sydney, or the time I was worried about my sexual health. I’ve spoken about equality in sport and issues effecting the gay community, my community. I am honest because if my story can help someone else get through a time in their lives where they need help, then I feel like I have achieved something. But for me the highlight of 2015 was when my parents told me they were proud to have me as their son. As my parents got divorced, my father wasn’t around as much as I’d have liked. So for me it wasn’t until now – at the age of 28 – that both my parents have said this to me at the same time. It makes all the sacrifices worth it. Being away from home, being away from friends and family, it;s hard. But to see that all my hard work makes my loved ones so proud, makes it all worthwhile. So what does 2016 bring? Well, more training and I look forward to playing in the Bingham Cup tournament. Rugby was always my first love but I put it on the back burner this year so I could concentrate on bobsleigh. But rugby will always be where my heart is so I plan to relish in the opportunity to run out on the field again. I am also looking forward to throwing myself into all sorts of opportunities. I would like to do more TV work so that I can continue to campaign. So for now, I will bid you farewell and wish you all a happy and safe new year. And thank you all for the amazing support you have shown me over the past twelve months. I appreciate it. Previous ArticleCOVER YOUR EARS! It's EastEnders' Music Hall Of Shame! Next ArticleKylie has her beau Joshua stripped for our pleasure!